The holidays are time when we hopefully get to slow down and spend some quality time with family and friends, enjoy wonderful food, and of course, shop like crazy for all the deeply discounted gadgets and connected devices. Despite our deeply ingrained desire to give the coolest gifts, the headlines detailing major cybersecurity incidents involving connected technology (like internet-connected teddy bears, or baby monitors that let anyone spy on you) should make you think twice before adding a gadget to your shopping cart. But, where do you turn for advice regarding the security of new flashy tech gadgets? Does the device allow for encrypted communications? Does the device support automatic security updates from the developer? Does the gadget force you to change the default password during set up, and if so, does it allow you to create a strong and secure password to replace it? Is there a way to report any bugs when they appear? Is there someone at the other end taking vulnerability management seriously? While this might seem trivial, keep in mind that when the holidays are over, some of the employees at your company will be coming back from their holiday breaks with one or more of these devices in tow. 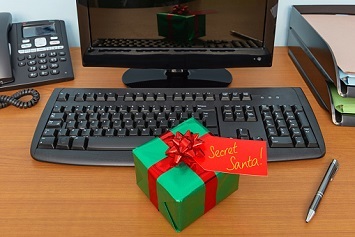 These thoughtful gifts could expose your network and endpoints to the outside world while Bob from accounting is tracking his steps. Our advice? Be proactive and share this guide with your employees ahead of Black Friday and educate them on the risks of bringing Internet of Things (IoT) devices into work. Hopefully it will not only make them smarter consumers, but better stewards of cybersecurity!